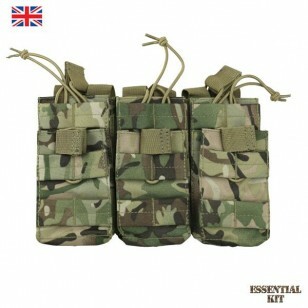 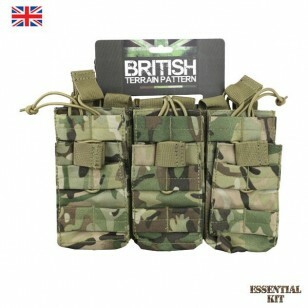 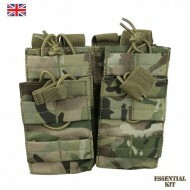 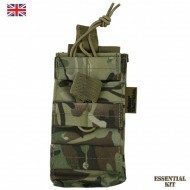 The Triple Duo Mag Pouch in BTP (British Terrain Pattern) camouflage from Kombat UK is designed to take 6 x M4/M16 style magazines. 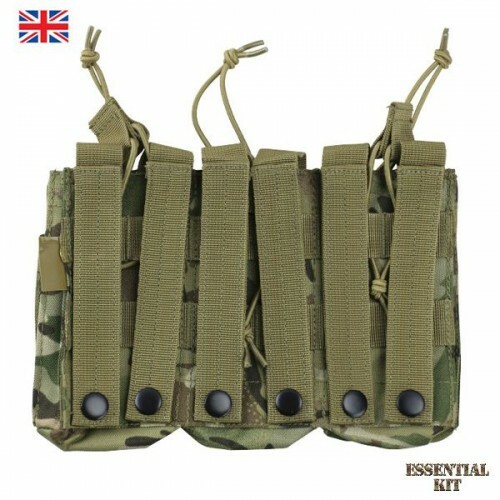 The triple Duo pouch is molle backed and compatible with molle assault vests, battle belts and chest rigs as well as many rucksacks. Quick-release bungee retainers to hold magazines securely (without the sound of ripping velcro).